A Gertie basketball set for beginning superstars! 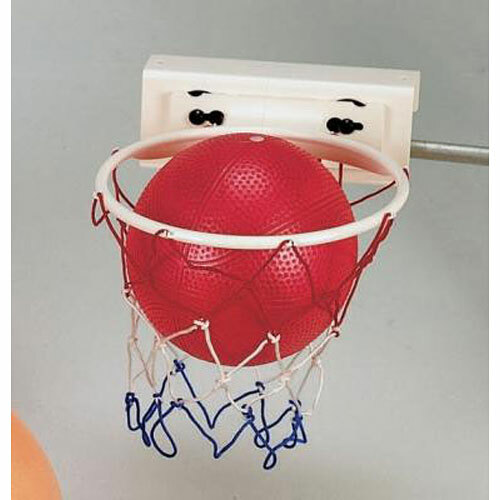 Set includes a Gertie Basketball and easy-to-install hoop. Hard plastic hoop has suction cups and fits on any door or on the outdoor adapter. Gertie Basketball comes in red. Also a great novelty gift for grownups!